If you have a newborn who scratches their face and keeps losing those little anti-scratch mittens, you need Handsocks. 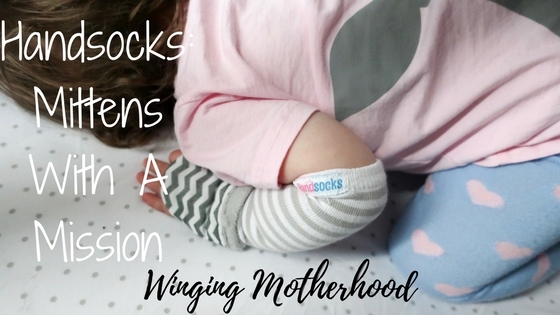 If you have a baby with eczema or other skin condition, you need Handsocks. If you have a child who refuses to wear gloves in the winter, you need Handsocks. Basically if you have a child, you need Handsocks. Handsocks are an innovative new product, designed to help prevent babies from scratching their face. 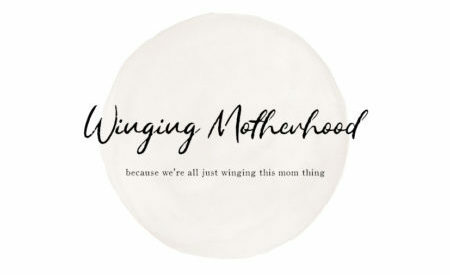 There are plenty of baby mittens on the market, but if your child is anything like mine, you know that these mitts never stay on. 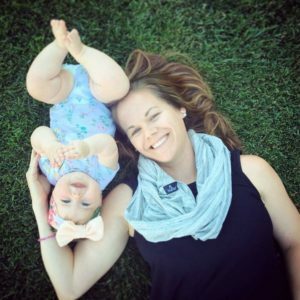 Handsocks are unique in that they fit the entire length of the forearm like a sock, with a mitt at the end that folds back so you can easily expose your child’s hand (for eating, playing, etc) without having to take them off. I jumped on the Handsocks wagon when they first appeared on Kickstarter. We are incredibly blessed to have a child that has been healthy and has never required any sort of hospitalization, but through my milk donation experience I was introduced to a child who I feel like this product was made for. He has a condition called Epidermolysis Bullosa (EB), an inherited connective tissue disease that causes blisters in the skin. These children are referred to as ‘butterfly children’ because their skin is as fragile as a butterfly’s wing. The slightest scratch can cause significant trauma so they often have to wear protective garments to prevent injury. He was the first person I thought of when I discovered Handsocks. A product like this could quite literally be a life-saver for children like him. Handsocks also really come in handy for children with feeding tubes, IV lines, etc., as they keep these tubes from accidentally being pulled out by curious little fingers. 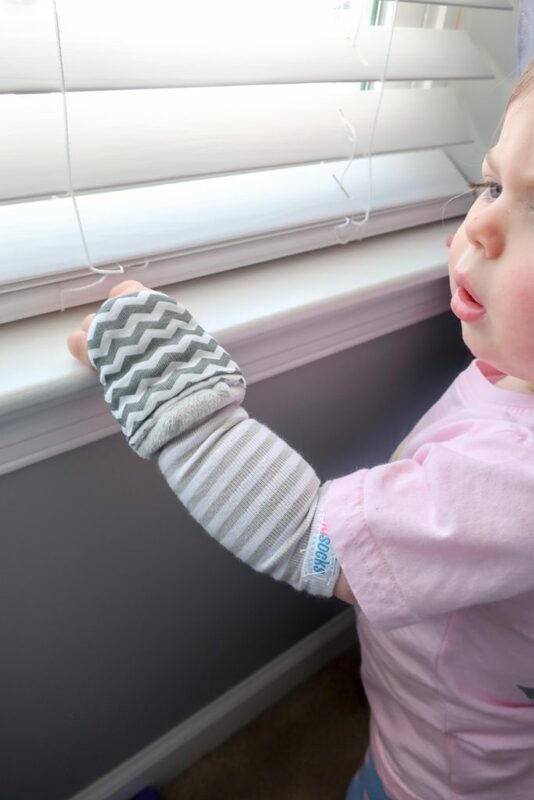 Or if your little one has eczema or another similar skin condition, this will help prevent the scratching that can make things so much worse. The benefits are definitely far-reaching with these mittens, benefits that go beyond just scratch prevention. The inspiration for Handsocks came from the same need I have for them now – warmth in the winter. It’s not uncommon where we live to see kids running around with tube socks on their hands. My toddler will not wear gloves. 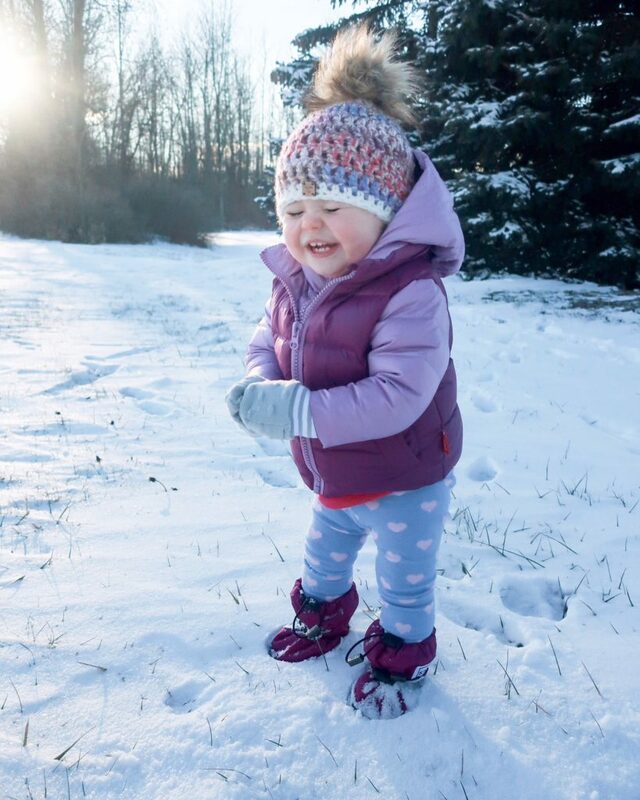 We’ve tried everything – different brands, different styles – she always finds a way to pull them off, making it impossible for us to get out and enjoy some fresh air during the winter months. And she loves to play in the snow! I slip them on over a pair of thin knit mittens and even though she initially tried to pull them off with her teeth, the Handsocks didn’t budge. 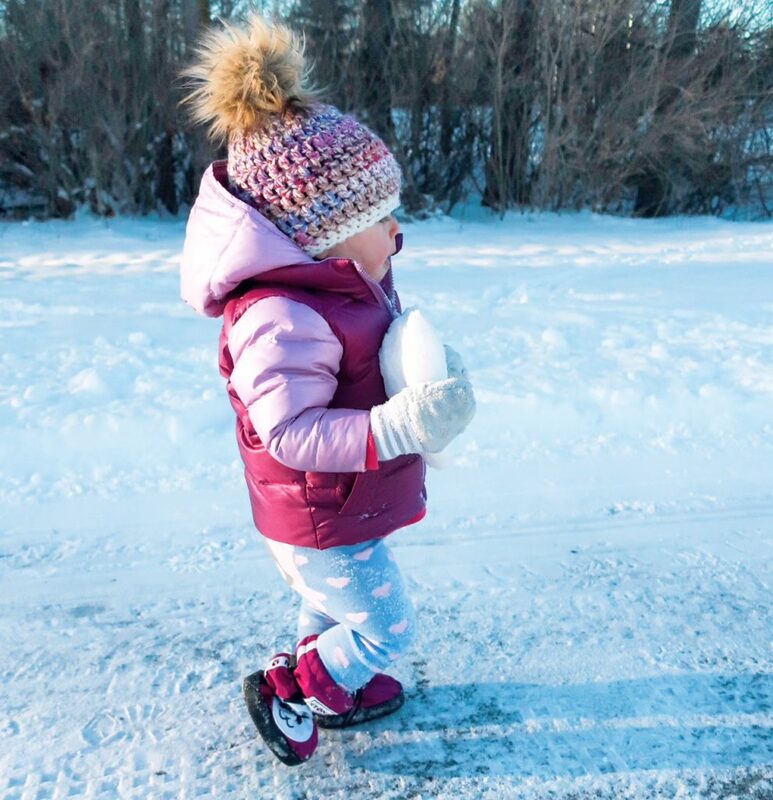 No Velcro, no straps, no buttons, they fit snugly from her wrist to her elbow and the minky soft mitts keep her hands warm the entire time we play outside. She doesn’t even try to pull them off anymore. Sizes range from newborn to 3T and there are a variety of gender-neutral styles and colors available on the Handsocks website here: www.handsocks.com. If you’re a college sports fan, you may even find a pair with your favorite team’s logo! You can also read more about the story behind Handsocks and all the ways they give back on the website. The goal is to help 100 million children between product and giveback programs, and they are well on their way. As if you needed another reason to buy a pair!